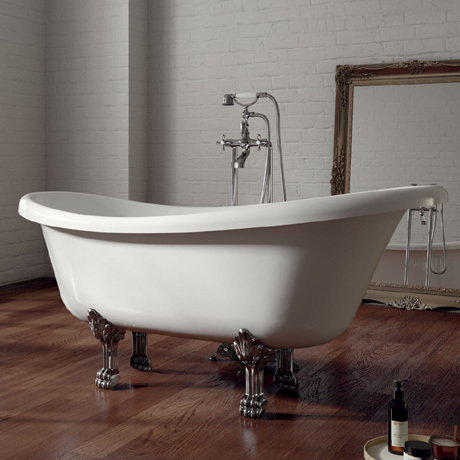 The Skye roll top bath from Ramsden & Mosley features a classic slipper design with a generous bathing area. Crafted using only the finest raw materials available and combined with modern technology and skilled craftsmen with an eye for detail. Each bath is manually polished for several hours, by hand, to create a product that looks and feels beautiful. Comes supplied with antique chrome finished lion feet.